After promoting an open quarterback competition heading into spring football, it seems that head coach Rocky Long has already given returning starter Adam Dingwell the nod. Dingwell has received a large majority of the first-team reps so far, and Long expects this trend to continue. Like I have said before, it is very unlikely that Dingwell is not the starter in 2013. The coaches will now use the rest of spring practices to determine who they feel most comfortable with as the backup quarterback. I see this as a competition between Jake Bernards, Chad Jeffries, and Matt Morin, with Bernards ultimately earning the backup role due to his experience and knowledge of the system. 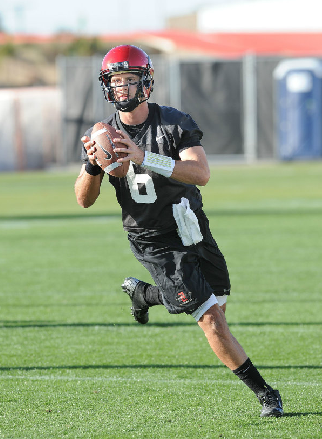 Need a refresher on the Aztecs quarterback situation? 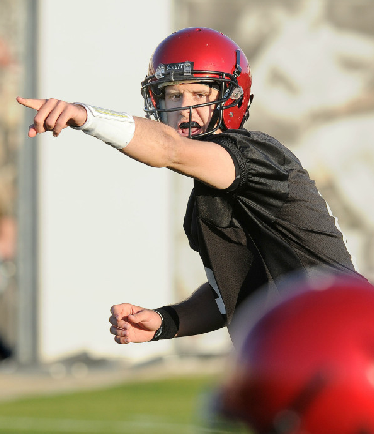 Check out the pre-spring season preview on the quarterbacks. 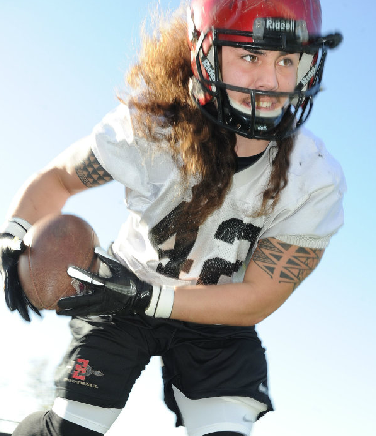 After losing three tight ends, the Aztecs desperately needed someone to step up this spring, and sophomore Robert Craighead has done just that. After being moved to the defensive line in 2012 because of the depth at tight end, Craighead was asked to move back to his original position. It was a smart move by the coaching staff, and Craighead has risen to the occasion with two solid weeks of practice. Junior Adam Roberts and Craighead will see the most playing time in 2013. Sophomore Aaron Boesch, the most athletic option at the tight end position, will likely be used on special teams and in various passing situations. Either Dominique Bierria or incoming freshman David Wells will see playing time in 2013 as a special teams contributor and a reserve tight end. Need a refresher on the tight end position? Check out the pre-spring season preview on the tight ends. Cornerbacks J.J. Whittaker, Pierre Romain and Mahbu Keels have split time with the first-team defense. If Whittaker can stay healthy, I expect him and King Holder to be the starters in the 2013. Sophomore Dan Kottman, who was Sam Meredith’s primary backup at defensive tackle in 2012, underwent surgery to repair a damaged shoulder. Although Kottman is expected to be healthy by the start of the season, look for junior Kenny Galea’i to step up as Meredith’s backup. 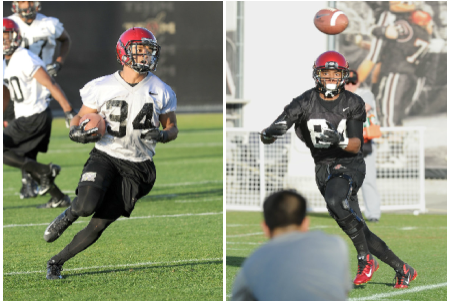 The Aztecs have still not found a backup running back to starter Adam Muema. I expect Chase Price and De’Saan Hardwick to separate themselves in the coming weeks, but the competition will likely last through fall camp. Long has said that Bryce Quigley, Japheth Gordon and Zach Dilley have pretty much secured their starting spots at left tackle, left guard and center, respectively. Right guard Nico Siragusa and right tackle Terry Poole are currently working with the first-team offense. That’s it for this week, Aztec fans. Stay tuned for more in-depth updates in the next two weeks, as I will be in San Diego from March 12-23 and will be able to attend some practices and the spring game. The first week of spring football is complete, and as usual, there is not much media coverage available. 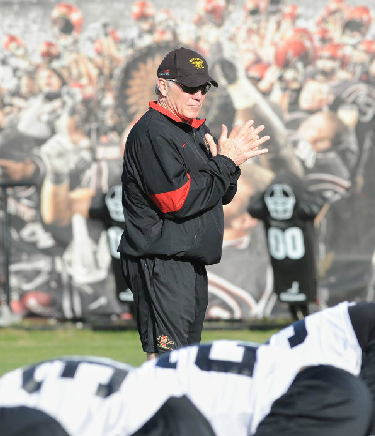 Head coach Rocky Long continues to restrict media appearances at practices, making it hard for fans to hear about what’s occurring. Although I am no longer in San Diego, here are some updates I can comment on through various news releases and word of mouth. Junior Zach Dilley, who started at right tackle in 2012, is currently the top candidate to take over the starting center job. Dilley was originally recruited as a center, so the move does not come as a huge surprise. Whether or not the move is permanent is the question. The coaching staff will likely shift around the offensive line throughout the spring with various combinations at center, right guard and right tackle. Returning starters Quigley and Gordon have the left side spots locked up, but the other three positions are up in the air. 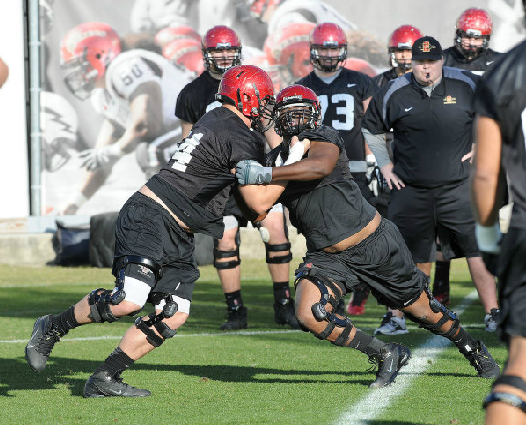 The coaches definitely like Siragusa at right guard, and although he is young, he is the clear frontrunner. The performance of Poole will determine whether Dilley starts at center or right tackle. Redshirt sophomore Paul Rodriguez will also compete with Poole at right tackle, and he could also make a push for the starting job if the coaches decide to keep Dilley at center. Also, don’t forget about redshirt sophomore Jordan Smith and newly added transfer Lenicio Noble. Either one could still secure the the starting center role if the coaches ultimately decide to keep Dilley at right tackle. Last week, it was reported that Larry Clark, Seamus McMorow and Darius Guillory would not participate in spring practices due to a violation of team rules. Cornerback King Holder and safety Marcus Andrews will also be out because of injuries. 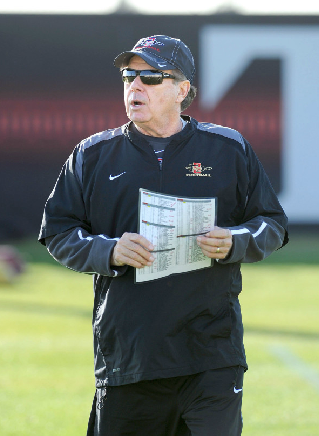 Although seemingly unfortunate, these absences will open the door for other players to see increased repetitions, and could potentially benefit the Aztecs in the long run. Clark, an intriguing athlete with great size and even greater potential, misses a golden opportunity to participate in spring practices. He is a raw talent that needs as many repetitions he can get, and misses a 15 practices does not help. His absence will allow players like Jemond Hazely and Paul Pitts a chance to climb the depth chart. 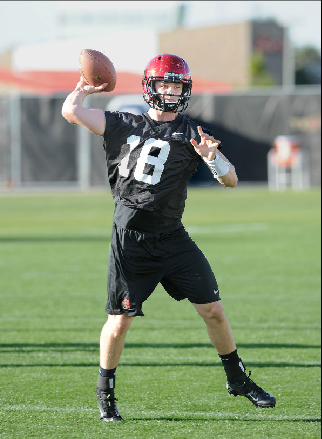 The absence of McMorrow likely eliminates the possibility of him taking over both the kicking and punting duties in 2013. Kicker Wes Feer and punter Joel Alesi now have much better chances of earning their respective jobs next season. Don’t expect to see anyone lock up a starting spot in the spring, however, as the kicking and punting competitions will likely last deep into fall camp. At first glance, Holder’s injury seems disastrous for a team that needs to replace both of its starting cornerbacks from the previous year. There is no need to panic, though, as this may actually help the defensive backfield as a whole. Holder’s injury means two things: Increased reps for the rest of the cornerbacks and increased competition amongst the group. Holder was expected to secure one of the starting spots, and he likely still will, but this opens the door for the rest of the cornerbacks to compete for both spots. Look for players like Mahbu Keels, J.J. Whittaker, Damontae Kazee, David Lamar and Pierre Romain to take advantage of the extra reps and push each other throughout the offseason. It is uncertain who will come out on top, but the increased competition will surely produce a viable starter. As expected, the coaching staff is promoting an open competition at quarterback. This is probably just for headlines and motivation. It is very unlikely that Dingwell will not be the starter in 2013. Guillory’s absence and Andrews’ injury opens the door for players like Kendrick Mathis, Tony Bell and Stan Sedberry. Keep an eye on these young safeties throughout the spring. Sophomore Robert Craighead has officially moved back to tight end, and reportedly had an impressive first week of practice. Look for the tight end competition, mainly between Roberts, Boesch and Craighead, to be a heated one. Don’t be overly concerned by the reports of dropped passes and fumbled snaps. With a lot of rotating amongst the quarterbacks and centers, a new offensive coordinator and the early date of spring football, these reports are not surprising. Also, it is fairly difficult to improve throwing and catching skills in the months of January and February. Players typically need these months to recover from the season before and get back into conditioning shape. The major skill improvements occur between March and August. That’s it for now, Aztec fans. Stay tuned for more updates. 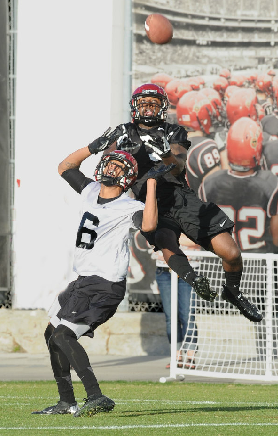 Also, keep an eye out for a recap of SDSU’s pro day on March 19. 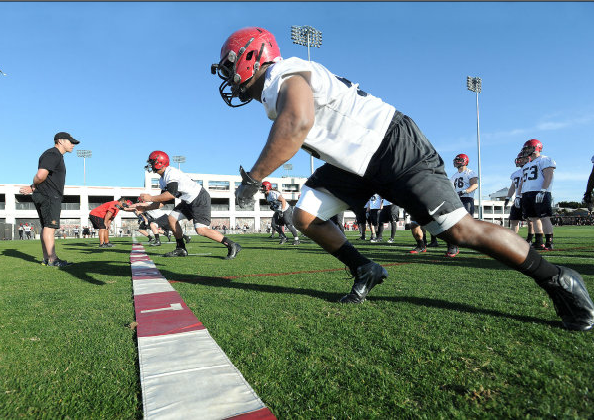 In case you missed it, here are the top 10 story lines heading into spring football.